This podcastellum consists entirely of an interview with Dr Jon Coulston of the School of Classics at the University of St Andrews (which is in Scotland, lest you forget). If you can hear your way past the rumble of the bus and the chatter of the ROMEC conference participants on their day out, this podcast will bring you insights into the production and use of Romano-British sculpture along Hadrian’s Wall along with a whole range of fascinating details about who did the carving, for whom, and with what. 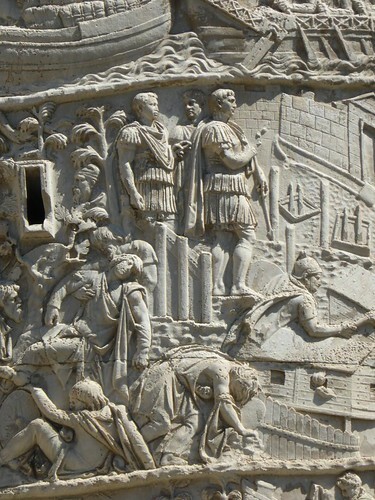 Naturally, I couldn’t let the opportunity pass to ask Jon about Trajan’s Column, the study of which has been his life’s work. I also asked him which was his favourite piece of sculpture. Given his interests in ancient archery, the answer was not surprising. 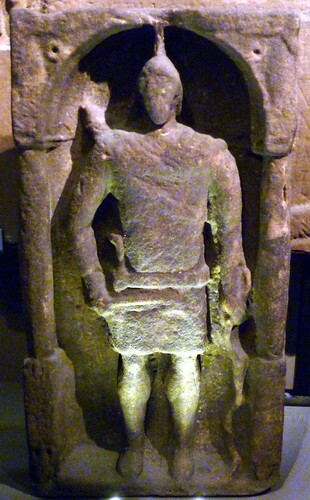 The piece he describes (originally from Housesteads) can be seen in the Great North Museum. The podcast is available as an MP3 file (11Mb). If there is enough demand I can create an Ogg Vorbis file too, but you have to tell me you want it. Right click to download. A bit torrent link is also available. Finally, if you prefer, you can stream it directly from the archive.org web page.